The Antigua table is our largest oval table which extends from a large 200cm to a very large 300cm. 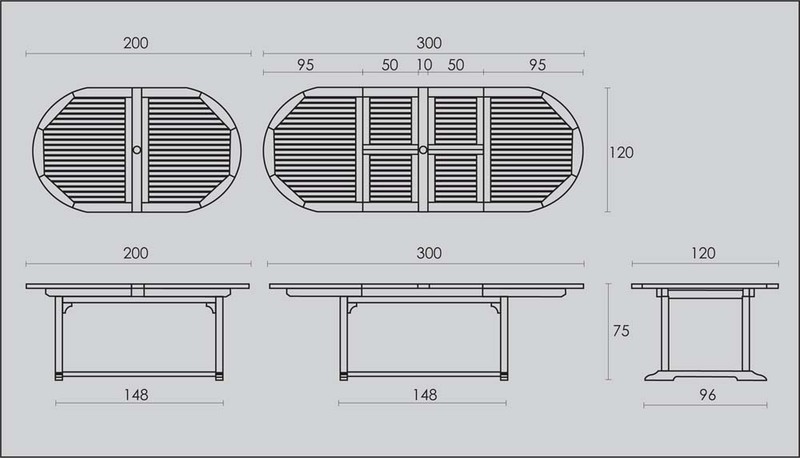 The double extension leaves fold under the table top and the parasol hole is fixed whether fully extended or compact. The table can seat 8 when compact and up to 12 when fully extended. 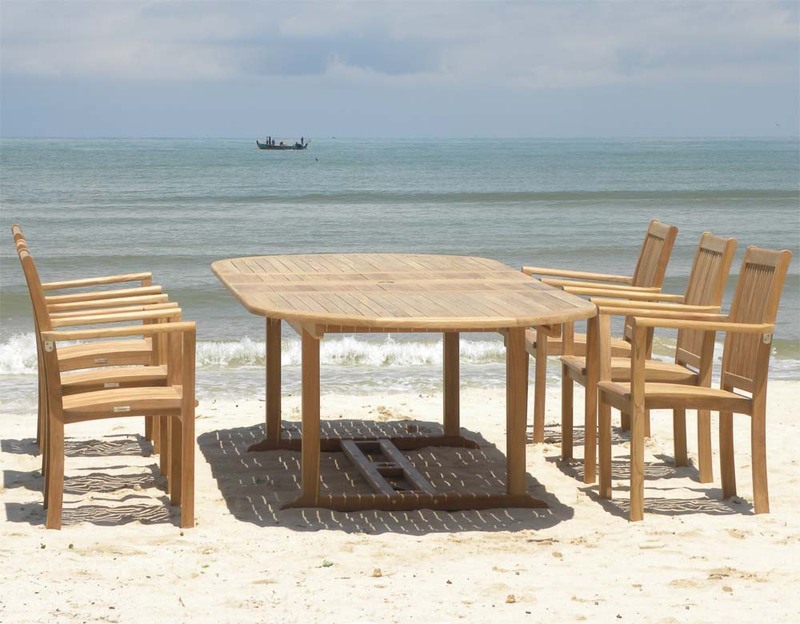 This table is crafted of solid premium teak which has been sustainably sourced from legal plantations. The garden table is fully machine made to ensure a long life span and superb durability.